What is Interval Exercise Training? Interval Exercise Training is simply working out in short intervals of higher intensity, and then reducing the level of effort for short recovery periods. High Intensity Interval Training Workouts, or HIIT, involve short bursts of high intensity exercise, followed by a period at a reduced workout level or a recovery phase. Low Intensity Interval Training LIIT, follows the same principles, but in more moderation. Interval exercise training allows you to burn more calories in a shorter period of time and reduce the risk of overuse strains and injuries. Interval exercise training can be adapted to many types of workouts: walking, jogging, running, cycling, bodyweight exercises, swimming, kettlebells, etc. Once you have prepared your joints, ligaments, tendons, muscles and cardiovascular system to tolerate a more intense workout, you are ready to include interval exercise training. Begin carefully, and work you way up in intensity to the Tabata Protocol, which will give you execellent training results. Are High Intensity Interval Training Workouts for me? 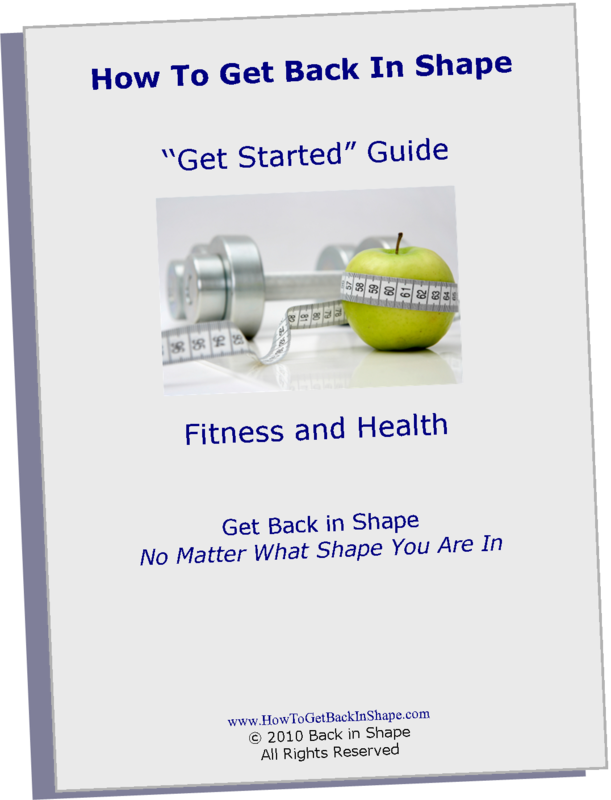 As with any new exercise program, you should consult your doctor or healthcare provider before you begin. If you have health problems, make sure that you clear any interval training exercises with your doctor because as the name implies, high intensity exercises are harder on your heart. Interval Exercise Training, especially high intensity interval training (HIIT), is not for the beginner. As you become more fit and can tolerate increased exercise intensity, high intensity interval training workouts (HIIT) will give you greater calorie burn and weight reduction. How do I begin Interval Exercise Training? First, be sure to do a thorough warm up before attempting any interval exercise training. The simplest way to begin intervals is to include short bursts of higher intensity exercise interspersed with slower, lower level efforts during your regular workout. You may prefer to begin with a milder version, or low intensity interval training (LIIT). Then, work you way up to a high intensity interval training workout, (HIIT). When beginning interval training, just get used to the idea of increasing your intensity for short periods of time, according to your comfort level. Keep your intervals in the low intensity or LIIT range, but more intense than your normal continuous workout level. Then recover back to your normal level of workout until you feel able to bump it up again. 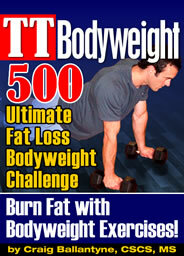 This allows you to burn more calories in a shorter period of time. Using interval training, even LIIT, in addition to your regular continuous workout routines will help you avoid plateaus and keep your body guessing, so that it does not adapt to your workouts. Once you are comfortable with adding intervals to your workouts, you can increase your intensity and target your high and low intensity phases, according to your heart rate. How do I use a Heart Rate Monitor for Interval Training? 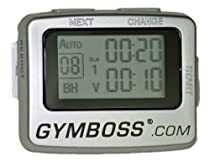 By wearing a heart rate monitor and using a timer like a Gymboss interval timer, you can optimize your interval workout. A heart rate monitor will help you to maximize your efforts, by targeting the intensity of your workout, to a percentage of your maximal heart rate. This will help you avoid over-exerting during the high intensity phase, and under exerting during your rest phase. Unless you are an athlete going for peak performance, do not exceed 80% to 85% of your maximal heart rate. (Or use a percentage provided to you by your doctor). For your slower, recovery period, try not to let your heart rate dip below 55% to 65% of your max. These are just guidelines. You need to listen to your body. Do not exceed your maximal heart rate. Learn about your Exercise Target Heart Rate. An Interval Timer will also help you optimize your interval workouts by timing your high intensity and low intensity phases of your intervals. One protocol that optimizes interval exercise results is called the Tabata Protocol. In the Tabata Protocol, your high intensity interval is for 20 seconds, followed by a 10 second recovery phase, repeated 7 to 8 times or about 4 minutes long. Using the Tabata Protocol will improve both your aerobic and anaerobic systems. What is the best Type of Exercise for Interval Training? Running, shuttle runs, or sprints in the field work well for interval training. 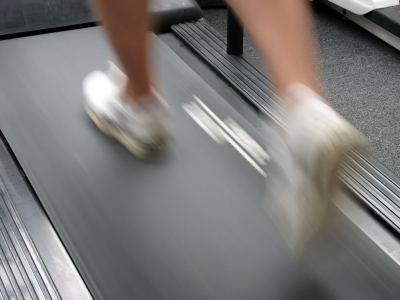 Using a treadmill may be difficult to regulate the change of speed needed for intervals. Cycling - A stationary cycle like the Airdyne combines both the arms and legs and is a good choice for interval workouts. Nordic Pole Walking - Just as the Airdyne uses both the arms and legs so does walking with poles. Craig Ballantyne of Turbulence Training shares 3 of his interval exercise training workouts. 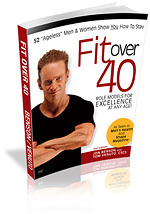 See Craig's Interval Exercise Training Videos. Remember, you can begin with low intensity interval training ( LIIT ), and work your way up to high intensity interval workouts ( HIIT ) when you feel ready. To avoid injury, do not push your intensity before you feel that are able to tolerate the higher intensities. Use a heart rate monitor for safety. Use the Tabata Protocol to make the most of your interval exercise training and enjoy the results!